Member of the ACCN. Celebrants & Celebrations Network Australia. 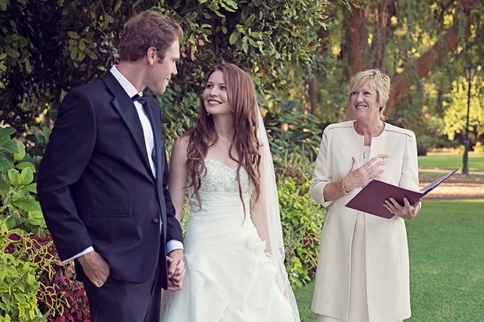 I am a professionally trained civil marriage celebrant based in Rutherglen North-eastern Victoria Australia. I am also prepared to travel any where throughout the North East of Victoria to perform a wedding. 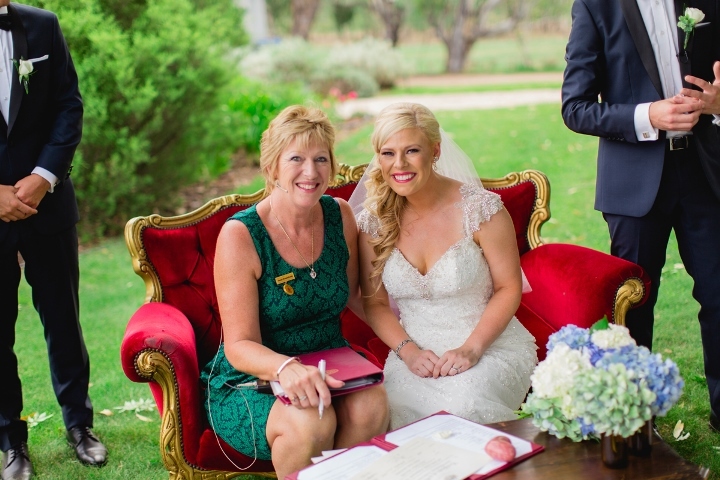 Connecting with the right Celebrant, one who makes you feel relaxed and confident that all the details on your Albury, Wodonga and Riverina wedding day will be taken care of, that is my intention. I am here to help your day run smoothly. My background in the airline industry has given me the experience and confidence to deliver my services with professionalism and an attention to detail. Your ceremony can be whatever you wish it to be, casual or formal, traditional or contemporary, I am here to assist you at all times. My purpose is to express my caring friendly nature, my enthusiasm and warmth by being genuine and consistent and by engaging in continued professional development and training to be one of the best and sought after celebrants. Susan Roosenboom Civil Marriage Celebrant Working In the Rutherglen North-eastern Victoria Area.